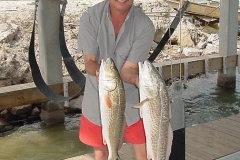 AUSTIN, Texas — Coastal fisheries biologists say conditions are looking good for coastal anglers looking to hook their limit of red drum, black drum, spotted sea trout, and even an exotic visitor to coastal waters, the mangrove snapper. 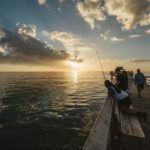 A recent analysis of fish sampling data and fishing activity shows the number of hours that anglers spent fishing in 2004-2005 dropped slightly from the prior year along the Texas coast, but despite the drop in effort, coast-wide landings increased 2 percent to 1.5 million fish and catch rates were up 3 percent. 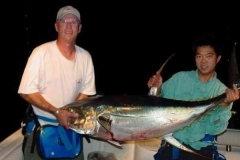 McKinney based that projection on data received from recent angler and gill net surveys. 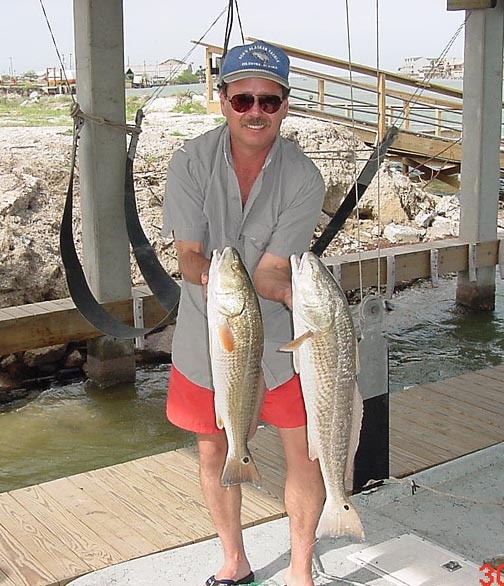 Catch rates for red drum, statistics show, remain at a 10-year record high. Based on last fall’s and this spring’s gill net surveys, the number of 20-to-24-inch red drum are “abundant” coastwide. 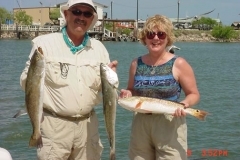 He also reported that record numbers of red drum (redfish) are being caught in all bay systems, from Sabine Lake to Lower Laguna Madre and Baffin Bay. McKinney said that gill net catch rates for red drum in 2005 doubled that of 2004. 2006 gill net surveys also showed an abundance of 19-to-30-inch spotted sea trout up and down the coast, continuing an upward trend noted from 2004 to 2005. Coastwide, there was a one percent increase in landings with 646,000-plus spotted sea trout caught. Southern flounder, on the other hand, remain a concern coastwide, according to McKinney. Nonetheless, he pointed out that 2006 gill net surveys show above average numbers of 14-to-20-inch flounder. 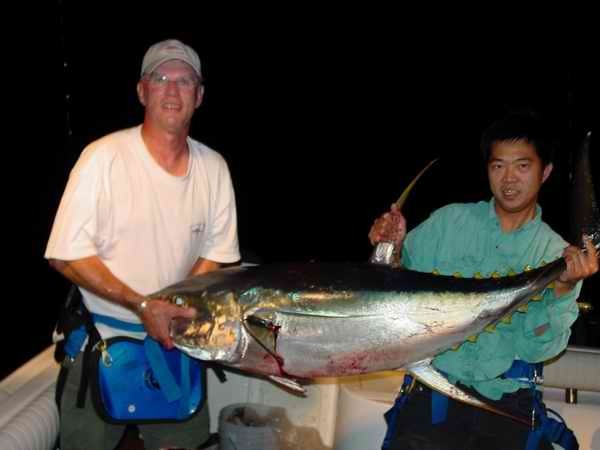 In addition, catch rates (the number of fish caught per hour of effort) for all species combined increased by 3 percent from .279 fish per hour in 2003-04 to .288 fish per hour in 2004-05. 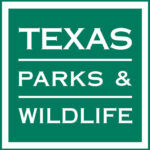 McKinney told the commission that the Texas coastal fishing outlook projects that spotted sea trout and red drum numbers in all bays will equal or exceed long-term averages, promising another great year. Galveston Bay, for example, should be an excellent fishery, especially since there was no hard winter, thus increasing forage fish already available in good numbers. More temperate winter weather also has resulted in an increase in the numbers of mangrove snapper that are migrating along the Texas coast, as far north as San Antonio Bay, presenting improved fishing opportunities for those without access to a boat. “It’s a great resource for youth because mangrove snapper can be caught from a pier and put up a good fight,” McKinney said. 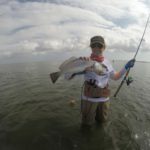 The fishing forecast for the Coastal Bend calls for fewer, but bigger, sea trout in Aransas Bay and catch rates for red drum continuing at a six-year high in Corpus Christi Bay. Statistics show that sheephead levels have increased in Corpus Christi Bay three-fold since the 1980s. In Upper Laguna Madre and Baffin Bay, black drum are “all over the place,” McKinney said. On a less positive note, marine biologists in the Lower Laguna Madre report that brown tide is still present, but is diminishing in some areas. However, brown tide is having little impact on sportfish populations, with natural baits proving more effective in hooking fish at present. Questioned about the state of freshwater inflows coming down rivers into estuaries, McKinney expressed concern about inflows into all the bay systems due to the state’s continued population boom and increased demands for water. Nonetheless, the coastal fisheries leader said, now is the “best shot I’ve ever seen” at finding solutions to the freshwater inflow dilemma. McKinney also informed the commission that new seagrass rules take effect May 1 and reported on the crab trap removal program. Despite inclement weather, volunteers recently removed 1,339 crab traps from coastal waters. Since 2002, he reported that more than 1,600 volunteers have removed 19,347 crab traps.